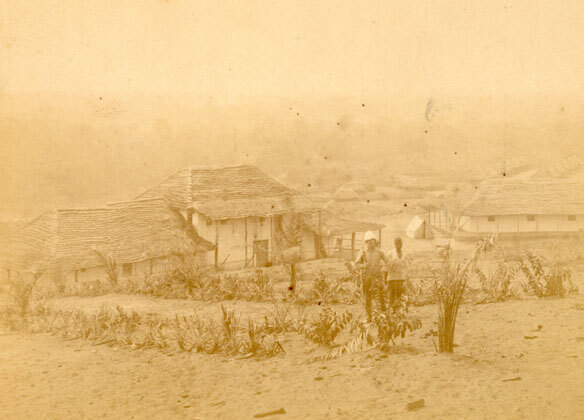 The growth of cities in colonial west-central Africa at the turn of the 20th century set the stage for the modern AIDS pandemic decades earlier than first thought, according to new viral archeology research. The most pervasive strain of HIV began spreading among humans between 1884 and 1924 — earlier than the previous estimate of 1930 — coinciding with the rise of urban centres, says a group of international scientists. “The founding and growth of colonial administrative and trading centres such as Kinshasa [in the Democratic Republic of the Congo] may have enabled the region to become the epicentre of the HIV/AIDS pandemic,” the authors write in Wednesday’s journal Nature. The lead author, University of Arizona biologist Michael Worobey, and his colleagues came to the conclusion after discovering the world’s second-oldest genetic sequence of HIV-1 group M, the strain responsible for more than 95 per cent of HIV infections around the world. The scientists recovered a 48-year-old HIV gene fragment from a wax-embedded lymph-node tissue biopsy from a woman who lived in Kinshasa. They compared it with the oldest known HIV genetic sequence from a 1959 blood sample from a man, also from Kinshasa. Examining the same genetic region in the 1959 virus and the 1960 virus, they found significant differences. Because of the time it take for the virus to evolve and diversify, that means the common ancestor of both viruses existed around 1900. Previous research shows that HIV spread to humans from chimps in southeastern Cameroon, about 700 kilometres away from Kinshasa. The virus most likely jumped to humans as a result of their exposure to the blood of chimps butchered for bushmeat. An accompanying commentary in Nature suggests HIV likely traveled down rivers from Cameroon leading into Belgian-controlled Leopoldville, now called Kinshasa. Leopoldville, the largest population centre in the region in the early 1900s, was the perfect incubator, say the commentators from the University of Edinburgh and the University of Alabama at Birmingham. “…As there must have been many opportunities for such transmission over past millennia, why did the AIDS pandemic not occur until the twentieth century? Excerpts from Basil Davidson’s documentary on Africa and its 19th/20th century history. It highlights the Bible and the Gun tactics employed by European expeditions in Africa.